Note : This Contest is CLOSED ! Hurray ! ALLROUNDER is up with yet another contest and this time, its a biggie. Just watch couple of videos, answers the questions and win Prizes worth Rs.2500+ .2 Pen Drives, Happydent Chewing gum Jars, Head and shoulder gift hampers and much more. There are 10 Prizes and hence 10 winners will be selected on the basis of creativity. Everyone of you have equal chance of winning. All the best. 1 Mobile Currency worth 50 Rs. -For more than one winners, lucky draw will be held. -The Original prizes may vary from the images shown above. The Photos of Winners of LIKE and WIN Contest. Its been quite time, when the Rajni PJ's flied around a lot everywhere on internet and mobiles. The new website dedicated to the superstar Rajni Anna Runs only when there is no internet. www.allaboutrajni.com is developed by the company called 'webchutney', enables the user to run that website when internet is disconnected. Opening the website with internet ON, it says to disconnect the internet and once its disconnected, the website runs. When the Internet connection is re connected, it says "Aiyyo! That was unexpected. To keep browsing, switch off your Internet." This website has gone viral in a very short time on social networking sites like Facebook,twitter, Google Plus etc. 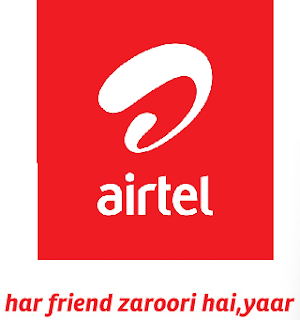 The Various types of friends showed on the various commercials attracted the viewers highly which added much more customers to Airtel's list. The Main Title song, 'Har ek friend Zaroori Hota hai' has got viral on Internet with more than 7-8 Lakh hits on youtube. Its a friend, who uses a lot of 'Beeps' while talking and seriously, this one is too good. Missed out Other Type of Friends ? Brandon Sornberger, Brian Girard along with Mark McGrath as DJ and more are UP in the last episode of the FCU. -Do they succesfully End in the mission ? -Who is the heavy Mustache ? -How does the Samsung Galaxy Note help them ? Missed the Previous Episodes ? This catch is the best catch in the Cricket History I ever saw ! It was the New Zealand domestic HRV Twenty20 competition. Bevan Small catched the ball in the air while crossing over the boundary rope, before hitting the ground he threw the ball to Michael Mason who took the catch. 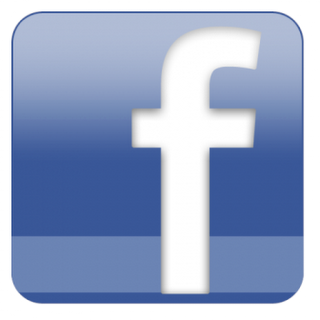 Use Facebook without internet on your Basic Mobile Handset ! 'FoneTwish', in Facebook Application has enabled the Non Internet Based Mobile Handsets also to use Facebook in it ! Initially, it will ask for your Facebook Email Id and password. Once you login, you can use it. What all Features can be Used ? -Updating Status is Completely Free, but to use other Features like Posting on wall, Checking Notifications, Adding Friends are Not Free. -Facebook by Fonetwish is a subscription service that charges just Rs. 1/ day for unlimited usage. Which Phones and Networks does it support ? Currently, In India, Its compatible with Airtel, Aircel, Idea, Videocon, Loop and Tata Docomo. The Activist Friend always is 'Active' on the different Moral Activities with his Tshirt. By wearing different type of tshirts, he shows his Favour. This Commercial can interest lot of Facebook Geeks, as the girl in the commercial speaks out 15 Status Updates just in 50 Seconds. Starting with a good mood to go to the party, with lot of updates going on, she finally ends up in cancelling the party plans. The Fun doesn't end up there itself as Samsung Galaxy Note carried them to the New episode too ! This new Story, Fly Like a Buttress, goes like.. The FCU Duo, Brian Sacca and Peter Karinen, are sent to another task by their Boss to find whether DMC from RUN-DMC really thinks himself as a King ? Their so called 'Friendship' gets tested to the Core inside the Castle where they have Samsung Galaxy Note in their hand to complete the Task. -Does the DMC is the real King ? -How strong is the FCU Duo's so called 'Friendship' ? -How does Samsung Galaxy Note cope up with them ? All these Questions' Answers are hidden up in the Video below, so what are you waiting for ?